LILIN has been constantly followed the motto of “innovation, progress and excellence” to self-motivate itself to become a green enterprise and strive to produce green products. Enterprise should continue to operate, not only to grasp the global market and product trends, but also in the industrial technology excellence, while be responsible for the community by actively practicing corporate social responsibility and strictly choosing key network monitoring components. Through a process of green initiatives, including following manufacturing norms and quality inspection, the ISO14001 environmental management system certification and the EU RoHS hazardous substances norms, LILIN is able to provide a stable and reliable network monitoring related products. LILIN fully understands the importance that environmental symbiosis has on sustained management and growth. LILIN keeps fulfilling the responsibility of being a member of the society and protecting the globe to achieve its sustainable achievement while pursues the growth. Established in 2017, ISO 14001 sets out the criteria for an environmental management system and can be certified to. It maps out a framework that a company can follow to set up an effective environmental management system which can maintain and improve the internal environmental management system. Further, the company itself can guarantee to the related team that it has been put suitable environmental management system into effect. By producing low-polluted, low-energy and highly environmental friendly green products, the company itself can control the whole production process of the new products, activities and services. Simply through the process of environmental pollution prevention actions, industrial waste reduction actions, reduction of hazardous substances and the design of recyclables, the company can fulfill the social responsibility. Furthermore, it can achieve the goal of being a sustainable enterprise. ★Constantly advocate energy conservation policy, ask colleagues to turn off the lights, air conditioners, and computers. ★Advocate the whole factory to learn ways to control air conditioners and fan speed. Temperature should be adjusted at the low-energy mode. ★Adopt sensor power supply at the public place to reduce energy consumption. ★Advocate the employees to use water based on the actual demands and adjust the demands up on any changes. The EU Directive on Waste Electrical and Electronic Equipment, 2012/19/EU, came into force on August 13, 2012. Waste of electrical and electronic equipment (WEEE), such as laptops, computers, TV sets, and smartphones, is one of the fastest growing waste streams in the EU. The WEEE directive 2012/19/EU aims to improve green product design concepts of electrical and electronic equipment (EEE) and encourage the reuse, recycling, and recovery of EEE to reduce the amount of waste at landfills. In order to effectively achieve waste management and sustainable use of resources, the strategy for waste management is mainly focused on green product design, that is; the use of recyclable or decomposable components and prohibit the use of harmful materials. Control on the total amount of waste and implementation on the recycling of resources and the final deposal of waste is the second step LILIN goes for. All the control operations have set up the main contact person to deal with. LILIN also strictly selects qualified waste removal and processing companies to ensure that the disposal of waste is in a legitimate manner to deal with, in line with environmental regulations, but also to reduce the impact of waste on the environment. Whereas armed groups in the Republic of Congo and Democratic Republic of the Congo (DRC) and adjoining countries have taken control of local mining operations in recent years and are using the proceeds for furthering their interests. As a result, mining operations are often accompanied by armed conflict and serious human right violations that have garnered the attention of the international community. The United States Congress has drafted “Dodd-Frank Wall Street Reform and Consumer Protection Act” which asks the enterprise to disclose any information if the products or production line have used any conflict minerals, gold (Au), tantalum (Ta), tin(Sn) and tungsten (W) ( so called minerals 3TG), from the Democratic Republic of the Congo (DRC) and adjoining countries. In respect of international human rights, LILIN will take related measures to avoid using conflict minerals, including advocating the suppliers not to use conflict minerals, such as gold (Au), tantalum (Ta), tin (Sn), tungsten (W) from the Republic of Congo. ★LILIN expects its suppliers to transition to Conflict Free Smelter Program (CFSP) and other industry validated conflict free smelters by requiring their existing smelters to undergo audits to achieve a similar conflict free status. ★LILIN will take all necessary measures to replace conflict metals. LILIN will continue to monitor the use of conflict minerals so as to reduce its impact. The EU directive has become the standard for the restriction of the use of lead, cadmium, mercury, hexavalent chromium, polybrominated biphenyl (PBB), and polybrominated diphenyl ether (PBDE) in electrical and electronic equipment (EEE). RoHS 2.0 was put into effect on July 1, 2006. The Recast RoHS 2.0 (RoHS 2.0) Directive 2011/65/EU came into effect on January 3, 2013, and replaced the RoHS 2.0 Directive 2002/95/EC. RoHS 2.0 Directive 2011/65/EU extend its scope to medical devices (category 8) and monitoring and control instruments (category 9). All LILIN’s products comply with the above directive and will be marked with CE and RoHS 2.0 Logo. Therefore, the compliance requirements for LILIN’s products have not changed. As a leading provider of industrial networking equipment, LILIN continues to comply with the latest RoHS 2.0 directive requirements. The amended directive of Recast RoHS 2.0 Directive Annex II 2015/863/EU extends the scope of restrictions on the use of hazardous substances from six substances to ten substances. We continue to work with our suppliers to ensure that we will eliminate or reduce the use of the four added designated substances, DEHP, BBP, DBP, DIBP. 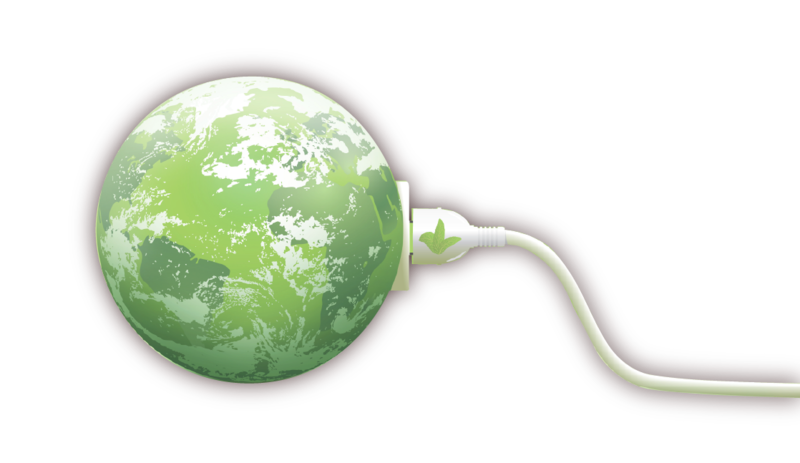 At LILIN, we strike to manufacture green products and establish a complete green supply chain. REACH requires manufacturers and importers to register chemical substances, preparations, and articles under the intentional release condition involving the intentional release of substances in quantities of over one ton per year into the EEA countries. Pre-registration was between June and December 2008. The registration phase will be completed by May 31, 2018, for quantities of 1 to 100 tons per year. At July 10th, 2008, the European Chemicals Agency's (ECHA) announced that there are 16 different substances under this regulation after the official release of the substance of very high concern (SVHC) list. The scope of REACH regulation cover quite large, including mechanical and electrical, home appliances, textiles, furniture, toys. Chemical substances are around thirty thousand, among which is substance of Very High Concern (SVHC), covering Carcinogenic, Mutagenic or Toxic for Reproduction (CMR) substances, Persistent, Bioaccumulative and Toxic（PBT） substances as well as Very Persistent and Very Bioaccumulative (vPvBe). Above substances need to be authorized to be used or sold. If the product contains SVHC, the company itself should notify ECHA. To the best of our knowledge, LILIN does not manufacture and import any products or accessories listed under the intentional release condition in quantities of over one ton per year. LILIN shares sufficient information with our customers on Substances of Very High Concern (SVHC) contained in our products if their concentration is above 0.1% (w/w). LILIN regularly updates this information to our suppliers to ensure our commitment to REACH, including the Candidate List of Substances of Very High Concern for authorization and substances restricted under REACH (Annex XVII), according to the official information on ECHA processes and developments that is available on the European Chemicals Agency's (ECHA) website. LILIN ensures that we maintain positive image in the society by cultivating our ability to manufacture green products, effectively managing the whole process from the supplier part to the customer part. We will constantly update our certification once it is updated on the ECHA website.